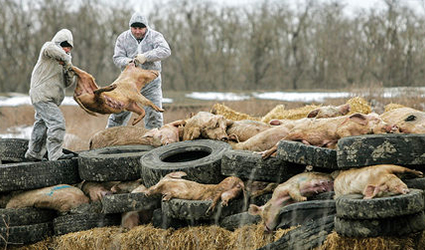 On Monday Romania’s national food and health safety authority reported the outbreak of African swine fever in southern Tulcea and stated that all pigs, over 44,000, would be euthanized. African swine fever is harmless to humans but highly contagious amongst both domestic and wild pig species. This comes after an outbreak in June, also in the same area. Romania is amongst a couple of eastern European countries seeing a rise in outbreaks over the past couple of years at a distressingly swift pace. Russia, Hungary and Ukraine have also been affected. The disease first made its appearance in Lithuania in July 2013 after decades. It then started making its way west causing much concern in EU. Ongoing efforts to develop a vaccine have been increased, especially since pork exports could be banned due to a single case.